Welcome to our packed Mother’s Day issue! This month we're celebrating all the women we love, turning Mother’s Day into a truly inspiring acknowledgment of wonderful ladies. Whether it's biological mums, step-mums, pet mums, in fact anyone who’s ever ‘mothered’ or simply been there for another human being or animal, we have a special knit to say "thank you". 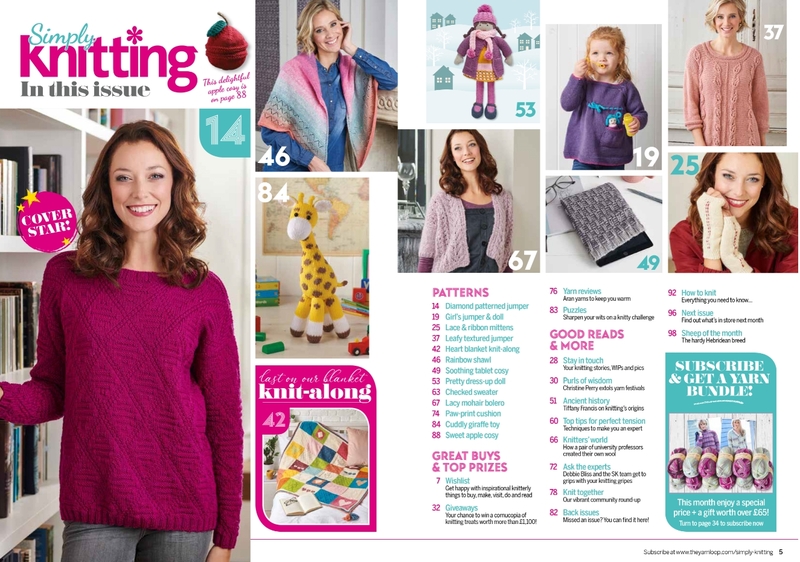 Treat her to a stunning diamond patterned jumper or lacy bolero; knit a cuddly giraffe or dress-up doll for a new mum's baby; or make an animal-lover's day with a cute paw-print cushion. Plus, don't miss the next part of our heart-themed knit-along blanket – the perfect way to show you care. 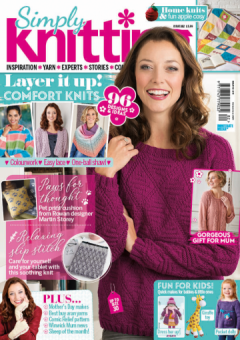 When you're ready to take a break from knitting, we have lots of great features to read this issue too! There's Winwick Mum's purls of wisdom, expert advice from designer Debbie Bliss, and all the latest knitting news and reviews. Whatever you make this Mother's Day – be it a thoughtful little gift or a new family heirloom – we're sure mum will appreciate every single stitch!